A Republican congressman from Wisconsin announced last Thursday that he would introduce a bill that would allow 91,000 lb., six-axle tractor trailers on US interstates. 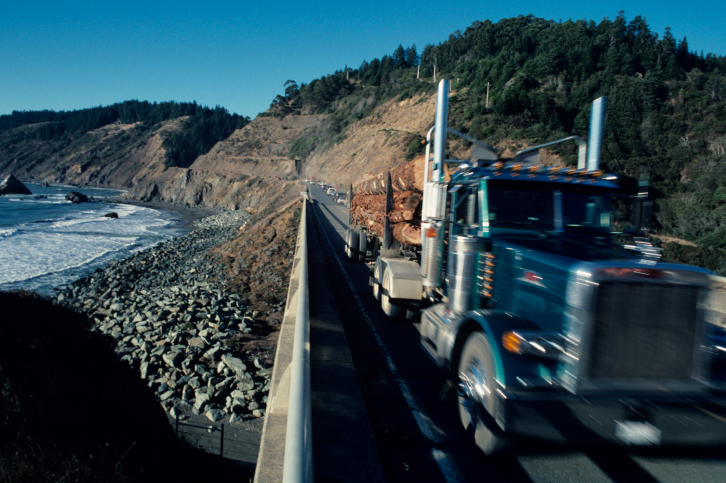 The bill is called the Safe, Flexible and Efficient Trucking Act (Safe Trucking Act) and will be taken up by the House Transportation and Infrastructure Committee this week. The bill is being introduced by Rep. Reid Ribble (R-WI), and would allow an extra axle, which would evenly distribute the eight and actually boost the power of the brakes. The current approved truck weight features five axles at 80,000 pounds. He added that current infrastructure in the US interstate system could support the additional 11,000 pounds without any rehab costs for bridges on interstates. Ribble also believes that the higher weight limit on federal highways could reduce truck traffic on state highways, where the higher limits are allowed. He argues that this could reduce accidents, which lead to serious injuries and fatalities. Ribble further notes that having higher weight limits would not only lead to more productivity, but would actually allow for increased safety; the argument is that there would be fewer trucks moving more product. A 13% increase in truck capacity could in theory lead to a fewer number of vehicles on American interstates. Our legal team in Virginia has seen many trucking accidents over the years caused by safety problems and mechanical failure. Two of the biggest problems we have seen are brake malfunctions and bad tires. It is the duty of the trucking company and the driver to ensure that the brakes and tires on all trucks are safe and in working order. Our concern about the proposed legislation is that the additional weight could add more stress to tires and brakes that are not properly maintained. This could lead to more crashes, injuries and deaths. If the legislation does become law, we hope that there are strict rules for brake and tire safety, and appropriate consequences for companies that do not keep their trucks safe on the road with the bigger loads.